It’s Friday! Here’s a shiny science article to get you through the end of the week. Scientists have found the tiny creatures surviving in boiling hot springs and buried under layers of ice on Himalayan mountaintops. Experiments have shown that they can survive being frozen at -328 degrees Fahrenheit or heated to more than 300 degrees F, are capable of withstanding pressures as powerful as 6000 times that of the atmosphere and can survive radiation doses that are thousands of times stronger than what would be fatal for a human. And as if that weren’t enough, they have also been known to survive in outer space. Yes, really. To read more and find out how, click through to Surprising Science, a blog on the Smithsonian Magazine website. In housekeeping news, posting may be a little scarce for the next week or two. The blog schedule will return to normal on the week of October 8. Writing in a lounge chair on the dock, under the canopy, with a bottle of Smirnoff Ice close at hand. The lap of waves and the rocking of the wooden platform, and all the trees enclosing the bay. Enjoying the crispness of early fall with leaves just starting to turn. Roasting marshmallows one night, eating clam chowder on a rainy day, drinking chocolate chai tea, snuggling up under cozy covers. The four-poster bed, with intricately carved headboard and footboard, so tall I had to climb up into it before sinking down into its warmth. Rediscovering the joy of writing — creating and editing a new story that just poured out of me, remembering the things that made me want to write an older story and then edging back into it. Feeling completely free of all the usual pressures and responsibilities of life, which have been myriad lately. Just me, the beautiful surroundings, the good company, and the keyboard. And the words. First, a housekeeping note. Apologies for the lack of posts last week…I knew I was going to be away, but ran out of time to pre-write and schedule posts as intended. At least fellow writer Erin Zarro was here to keep the blog from going dark! We rent a cabin for a week. 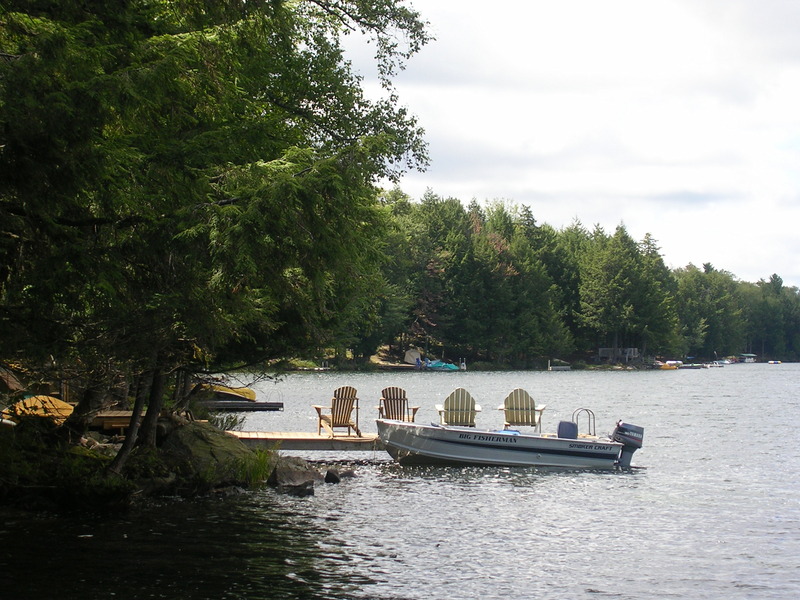 Our requirements include plenty of bedrooms (most of our members prefer to have their own), a well-equipped kitchen, and a lakefront lot with plenty of trees and privacy. 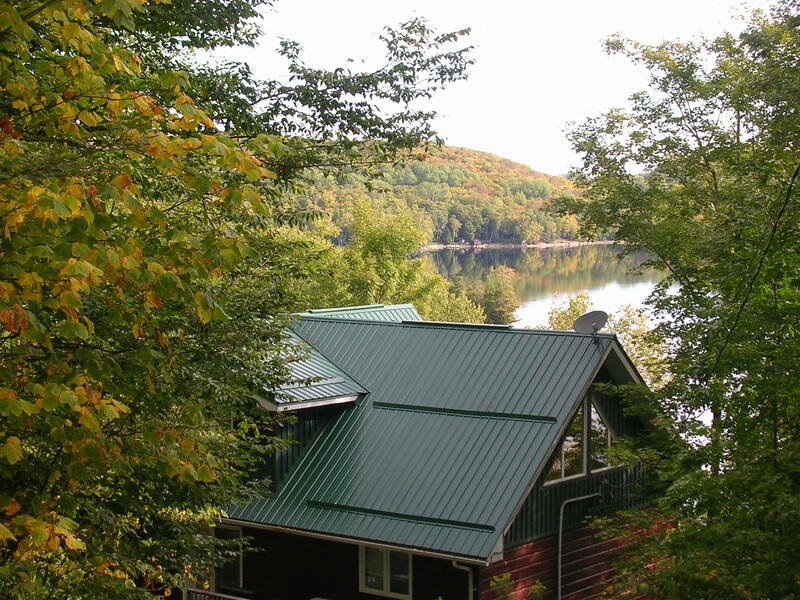 Cabins that have all of these also tend to have plenty of writing spaces — indoors, on the deck, on the dock, or elsewhere on the land. One thing we try not to get is wifi. So far we’ve gone to a different cabin every year, but the last two were pretty spectacular (while still affordable, since the rental cost is split so many ways), so we may well make a repeat visit. As a child, I was mercilessly teased and taunted by others. It left me with scars that have never quite healed. To this day, I always feel like someone’s watching me and having a good laugh. Even though that’s totally not the case. It made me feel like less of a person, a freak, for so long. It really hurt me, deep inside, and I went through many years of therapy and depression and soul-searching. But I’m getting better now, through medication and writing. I recently made the decision to self-publish my work as opposed to finding an agent. My debut novel Fey Touched, which released on August 1st, is a mix of both sci-fi and fantasy (and a bit of horror, too) and I wasn’t sure if there was even a market for that sort of thing. And if an agent would take it on. They only take what they know they can sell. So I loved this book, loved the concept, and made the decision. I would let my inner light shine. Scars and imperfections and all. I would make my mark on the world through my words. What prompted this, you are probably wondering. A clinically depressed writer would probably believe her stuff sucked and would never sell. Yep, been there, done that, got the tee shirt. Why would I put myself out there, out to possible ridicule and nasty commentary? Why would I take that kind of chance with this beautiful book I love so much? Was I insane? No, but I owe it all to Adam Lambert. Astronauts used a toothbrush to conduct repairs outside the International Space Station, ending a marathon 6.5 hour-long spacewalk Wednesday. Yup. Read the rest at CBC News. Next week I’ll be buckling down on some writing, so I’m taking an Internet hiatus. But I’ve got an exciting guest blogger lined up for you on Wednesday. You can still comment, too — I just won’t see it until I’m back online next Sunday. Enjoy your week! I’m also conscious that so far, we’ve been recipients, not givers. As former apartment-dwellers and also introverts, we have a habit of keeping to ourselves, turning inwards. Suddenly I’m finding that I don’t like that habit anymore. Sure, we’re young and inexperienced, but we have talents and resources that could be shared. What I didn’t mention was the state of our home’s exterior. The whole backyard is soil, for the former owners were avid vegetable gardeners. We took possession in May and moved in at the end of June; we’ve planted a little, but it’s mostly weeds now. We’ve done our best, but we just haven’t had time to take proper care of the yard this year, and I’m conscious that it looks terrible. The front yard isn’t much better. It’s yet another way that we could — and will — be better neighbours in future. What experiences have you had with good neighbours — either being them or having them? Go comment at Turtleduck Press! What are you still doing here? It’s a holiday! Happy Labo(u)r Day. We’ll return to our regular posting schedule on Wednesday.